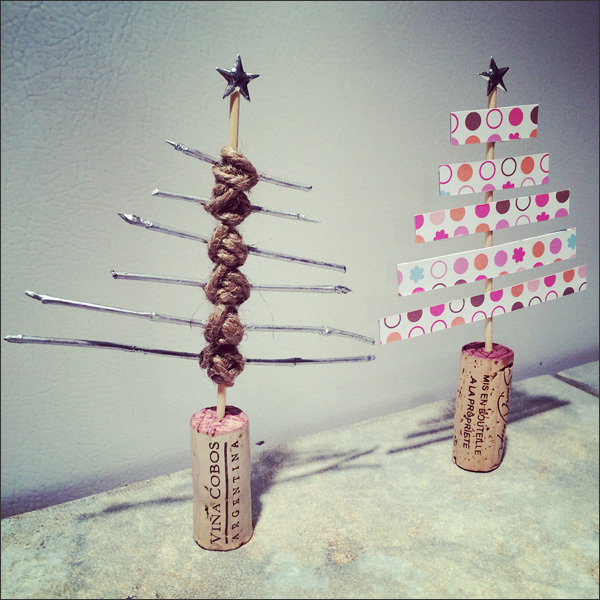 It's time for another top 5... All about upcycling wine corks! 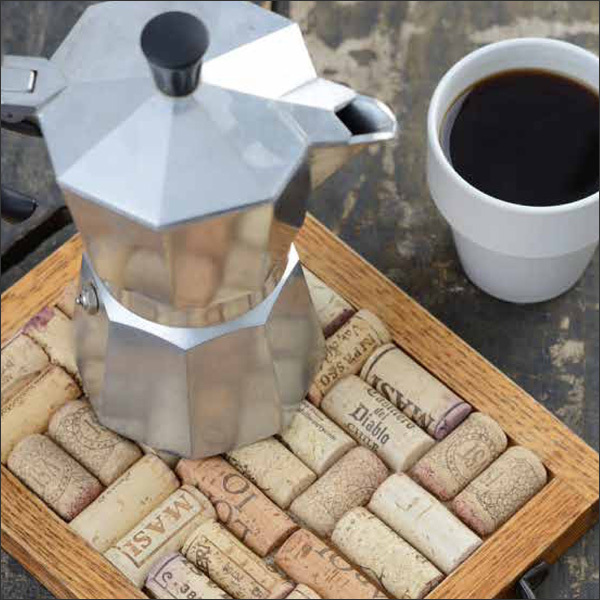 There are tons and tons AND tons of fun DIYs that reuse wine corks. Here are a few to get you started - a couple of these are my most favourite projects ever. One of my go to crafts is number 1 - wine cork jewelry. 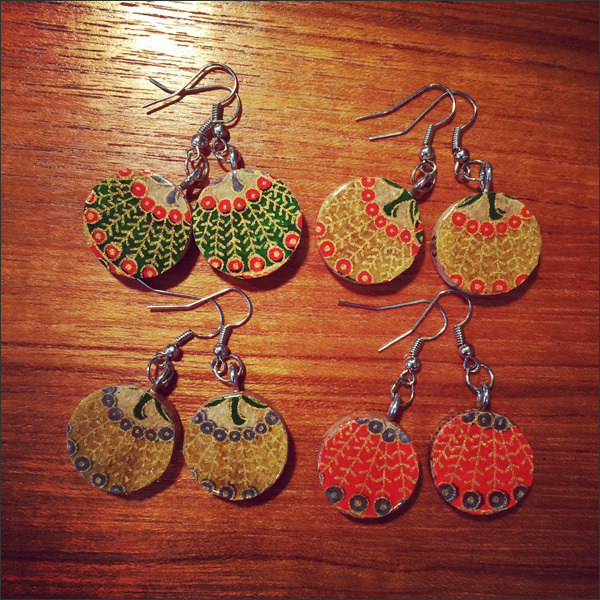 I've lost count of how many pairs of wine corks earrings I've made! Seriously. 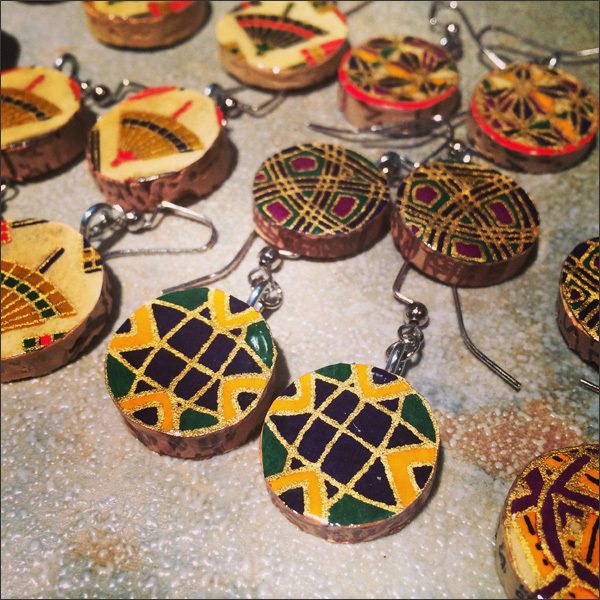 It doesn't take much to make swanky earrings, pendants and decorative buttons out of wine corks. I love making a bunch of these at once. It's an easy DIY and super cheap. The only time consuming part is waiting for the wood varnish to dry between coats. My secret ingredient in making these super duper awesome is using Japanese paper. The combination of gold in the paper and the wood varnish makes the design really 'pop'. 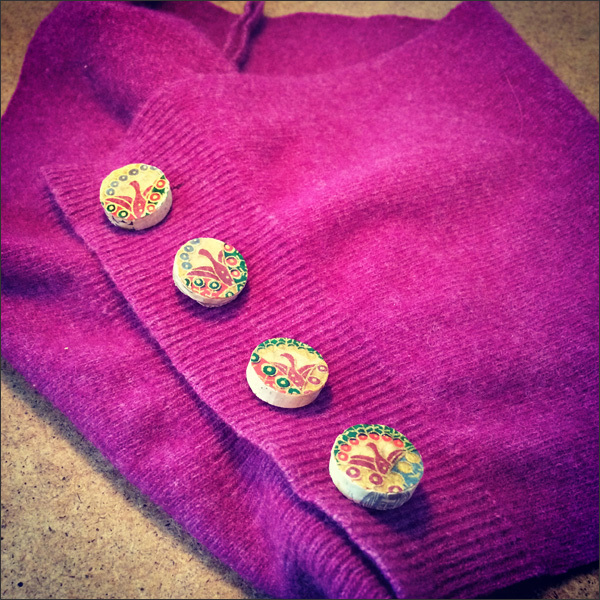 You can adjust the wine cork rounds to be earrings, pendants or even decorative buttons! Make your own at Wine cork earrings are swanky. 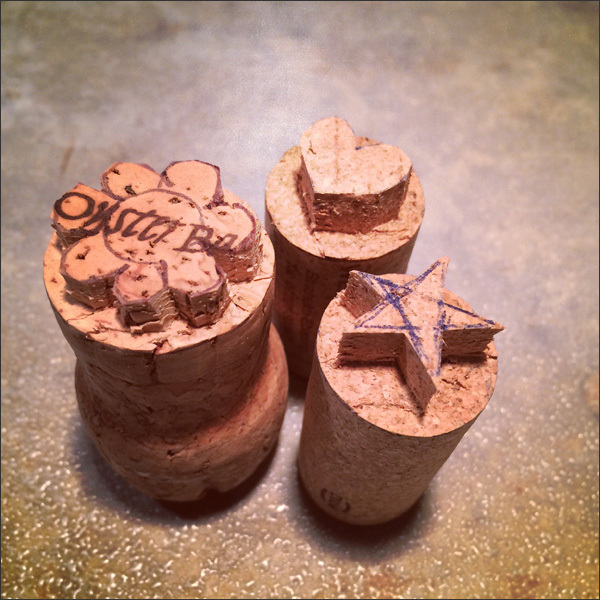 Take your used wine corks, cut cork rounds then glue a magnet to the back. Easy peasy! 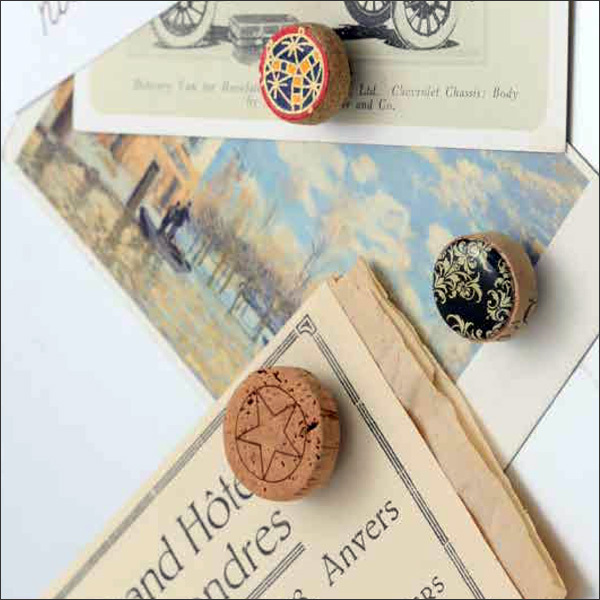 You can paint, decoupage or draw on the cork rounds to make them funky. 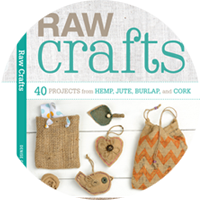 This DIY is in my crafty book, Raw Crafts, along with a few more projects upcycling wine corks. A handy dandy tray is simple to create using a thrift store frame, old handles and sliced wine corks... And it looks so darn good! 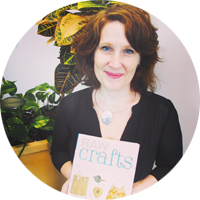 Another DIY from Raw Crafts. In this sample, I used a frame from the Salvation Army thrift store, brass handles from the North Vancouver Habitat for Humanity ReStore and a bunch of cut up wine corks. It cost maybe $5 to make. Stamps are a fun DIY for crafting with the kids or for creating your own stationary. These are easy to create and FAB for stamping your own cards, gift tags or even gift wrap! 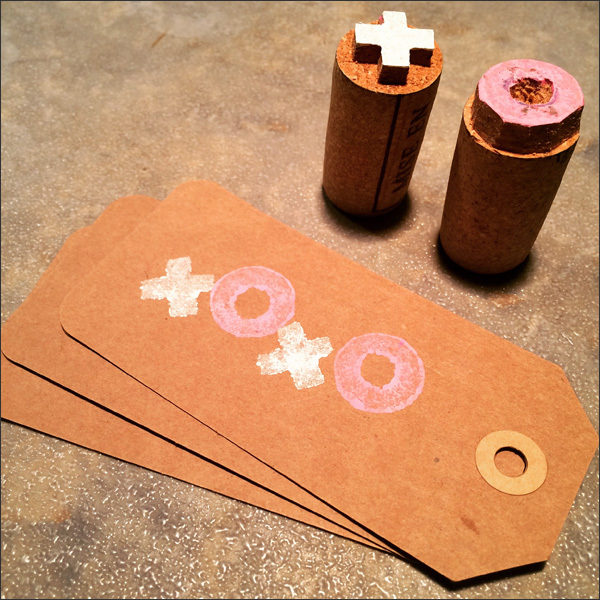 A few helpful tips for making wine cork stamps are... Keep your design simple, take your time when cutting out the design and definitely be careful when using a sharp X-Acto knife. I am self injury prone so always need to be uber careful when working with sharp tools. There are so many home decor projects you can try from the super basic to the big time elaborate using upcycled wine corks. Here are a couple of the DIYs I've tried that are easy, cost effective and look darn kewl! 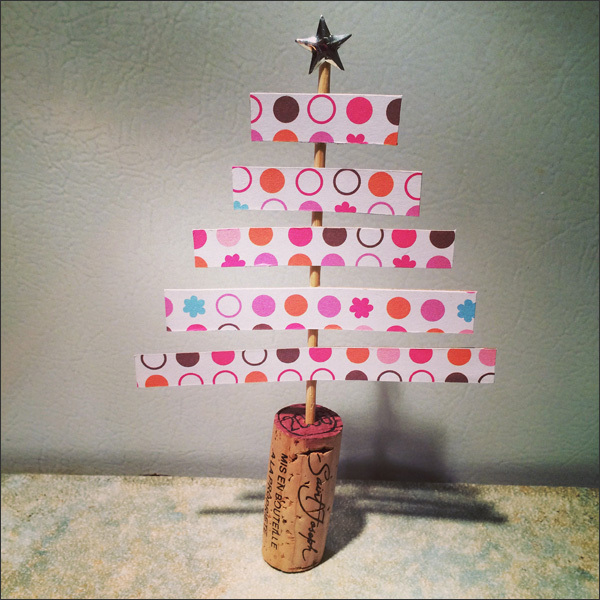 I love this Xmas tree using upcycled junk jewelry, cereal box cardboard and a skewer... And of course a wine cork base! This is a very simple project perfect for the holiday season! I made two samples for a Xmas Crafternoon last year... I used jute and painted wood for my second sample. You can easily customize the look and feel depending on your style. 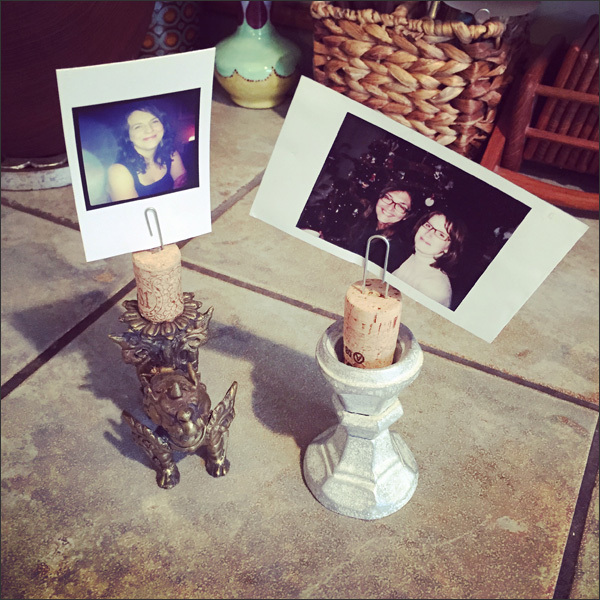 Another easy peasy home decor DIY is this photo holder using a thrift store candle holder, a wine cork and a paperclip. I have a few of these in my place for photos, quotes and cards. And there's my top 5 for wine cork projects... Try one, try them all or try your own. And be sure to share any new and awesome projects for turning trash into treasure!